Undefeated WBO world champions Óscar Valdez, Gilberto "Zurdo" Ramirez and Jessie Magdaleno will headline an exciting world championship event in separate title defenses tonight April 22, under the stars at StubHub Center in Carson, Calif. The last time former two-division world champions Timothy Bradley Jr. and Jessie Vargas worked together at StubHub Center it was inside the ring on June 27, 2015, when they battled each other for the welterweight title. 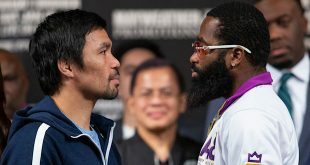 Tonight, they will be outside the ring at StubHub Center as part of the Top Rank world championship tripleheader pay-per-view live telecast, calling the action and giving insightful reports. Bradley will join veteran boxing broadcasters Brian Kenny and Bernardo Osuna for the ringside call, adding his own expert analysis. 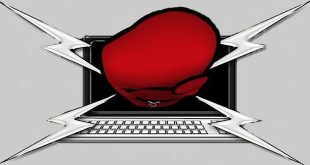 Vargas will join Top Rank’s Crystina Poncher, filing exclusive reports and breaking news behind the scenes throughout the telecast. 2016 U.S. Olympic silver medalist Shakur Stevenson will be making his pro debut on the pay-per-telecast, taking on Edgar Brito (3-2-1, 2 KOs), from Phoenix, AZ, in a six-round featherweight bout. “Pressure makes diamonds and I’m going to be a polished one in the ring with lots of facets. I love fighting. It’s not a job to me. It’s a career. I’m excited to start writing this new chapter in my book. I can’t wait for Saturday night. I want to make a statement in this fight. I want a KO. "I’ve had a pro style for so long that the adjustment for me has been easy. Now I do more running and sparring, but I enjoy that. I’m in the best shape of my life. I get asked a lot if I’m the next Floyd Mayweather. I have no interest in being that. Making the second defense of his WBO featherweight title since winning it last July, Óscar Valdez, (21-0, 19 KOs), from Nogales, Mexico, the first boxer to compete in two Olympic Games is gearing up for a mandatory title defense. "When I was a small boy I dreamed of becoming a world champion. I worked all of my life to become a world champion and I want to be a champion for a long time. Marriaga is the toughest fighter that I have ever faced. "I know how great he is and what he will be trying to take from me on Saturday night. I won't let him do it. This title belt means so much to me. I won't let him take my title belt. This Saturday, I'm going to defend the Mexican flag with great pride." Gilberto "Zurdo" Ramirez, (34-0, 24 KOs), from Mazatlan, Mexico, makes his long-awaited first defense of his WBO super middleweight title, against Top-10 contender Max Bursak (33-4-1, 15 KOs), of Kiev, Ukraine. The super middleweight champion with the matinee idol looks, Ramírez had been sidelined for most of last year with an injured right knuckle. While he was recovering he made good use of his time to become proficient in English. Now, “Zurdo” is not only bilingual, he is also a bipartisan boxer – a southpaw who is now comfortable throwing the left and the right with equal power. "I know I'm going to be victorious because I have worked very hard in training camp," he said. "After making history by becoming Mexico’s first super middleweight champion, I'm ready to defend my world title for the first time. I have complete confidence in my punching power and have no fear of using it." · Undefeated WBO world champions Óscar Valdez, Gilberto "Zurdo" Ramirez and Jessie Magdaleno will headline an exciting world championship event in separate title defenses tonight April 22, under the stars at StubHub Center in Carson, Calif. 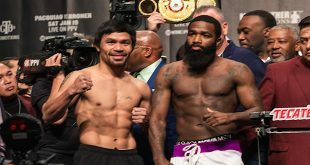 Produced and distributed live by Top Rank Pay-Per-View, the telecast will also feature the pro debut of U.S. Olympic silver medalist Shakur Stevenson, in a six-round featherweight bout. The live pay-per-view telecast will begin at 9 p.m. ET / 6 p.m. PT. and will be available on all conventional platforms, including all major cable and satellite systems, as well as Top Rank's digital distribution via www.TopRank.tv and mobile devices. Promoted by Top Rank, in association with Tecate, All Star Boxing, Zapari Boxing Promotions and Antonio Leonard Productions, remaining tickets to this world championship tripleheader are priced at $128.50, $77.50, $52.00 and $36.70. They may be purchased online at AXS.com, by phone at (888) 9AXS-TIX, or by visiting the StubHub Center box office. Valdez (21-0, 19 KOs), from Nogales, México, will be making the second defense of his WBO featherweight title against No. 1 contender and NABO champion Miguel "Escorpión" Marriaga (25-1, 21 KOs), from Arjona, Colombia; Ramírez (34-0, 24 KOs), from Mazatlán, México, will be making his first defense of the WBO super middleweight title against Top-10 contender Max "Tiger" Bursak (33-4-1, 15 KOs), of Kiev, Ukraine; Magdaleno (24-0, 17 KOs) of Las Vegas, Nev., will be making the first defense of his WBO junior featherweight title against WBO Latino champion Adeilson "Dell" Dos Santos (18-2, 14 KOs), of São Paulo, Brasil, and Stevenson, the crown jewel of the 2016 U.S. Olympic team and the pride of Newark, NJ, will be making his eagerly-awaited professional debut in a six-round featherweight bout.